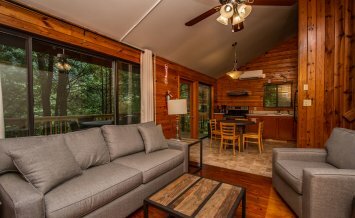 Nestled in the Nantahala Gorge, this deluxe 3 bedroom/1bathroom cabin includes a queen bedroom, queen-twin bunk room and 2-twin bunk room. 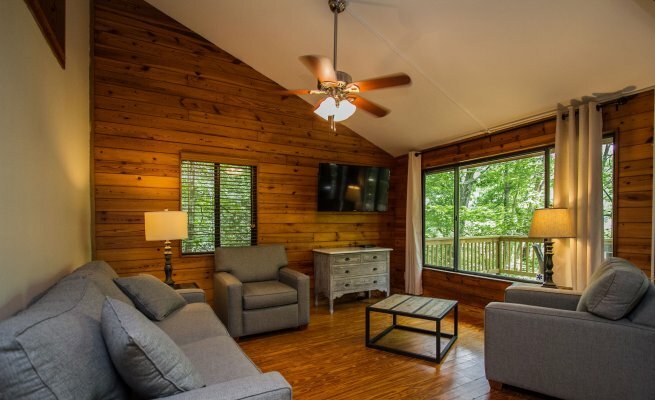 The entire family will enjoy staying in the heart of adventure with the Smoky Mountains of Western North Carolina out the front door. 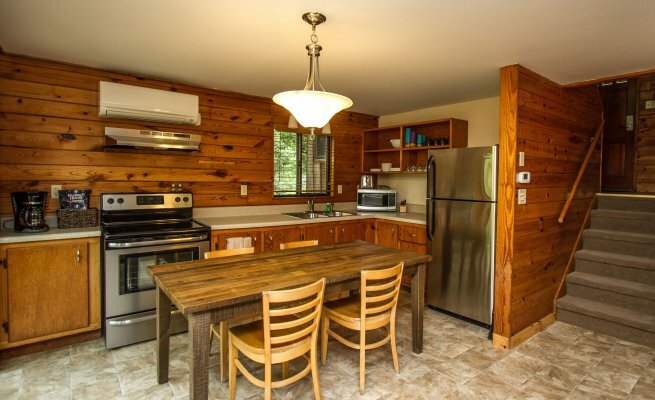 Birch Cabin offers comfort and a spacious layout with room for up to 11 people. Fill the day with outdoor activities such as rafting, zip lining, kayaking, hiking, biking and more (all in walking distance!). 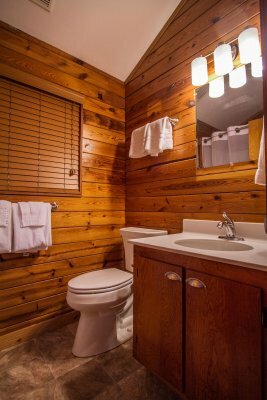 Relax in the quiet solitude of your mountain cabin at night. 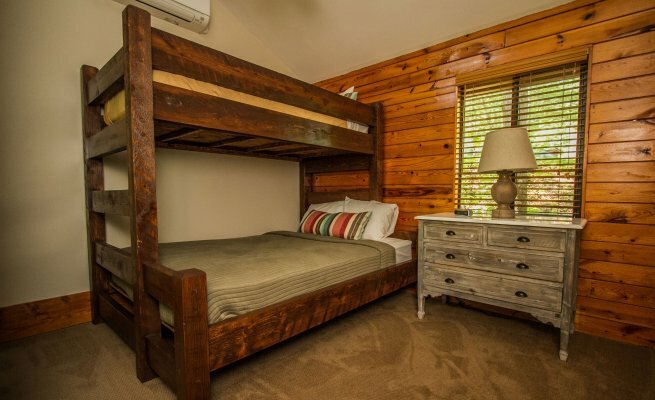 Birch’s recently renovated 3 bedrooms/1 bathroom setup includes a queen bedroom, queen-twin bunk room and 2, twin bunk room. 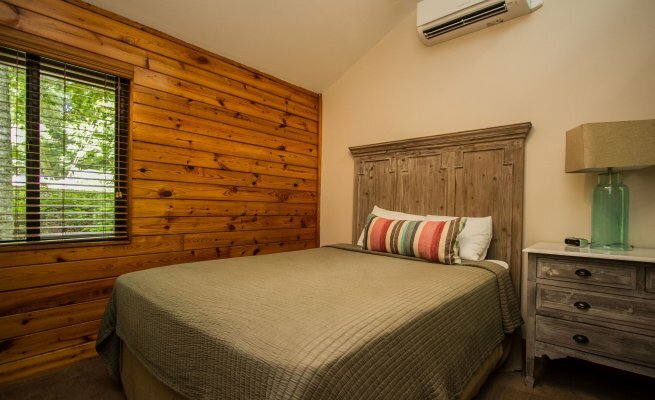 Amenities include flat-screen HD satellite TV, Wi-Fi internet access, large exterior deck with dining area, charcoal grill, heating & air conditioning and fully-equipped kitchen. Cookware and linens are provided.